Born in 2001, Little Man, a Bay Icelandic pony, quickly became a favorite at Worthmore. He is an essential member of the KART team. 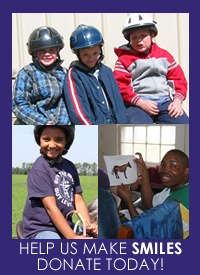 Little Man has been working in therapeutic riding programs since 2005. His small stature and gentle nature make him the perfect pony for young children and small adults.